Poppy received a fun package in the mail last week. One of my blog readers went to Korea to pick up her grandson last month and she was kind enough to get a few surprises for Poppy! 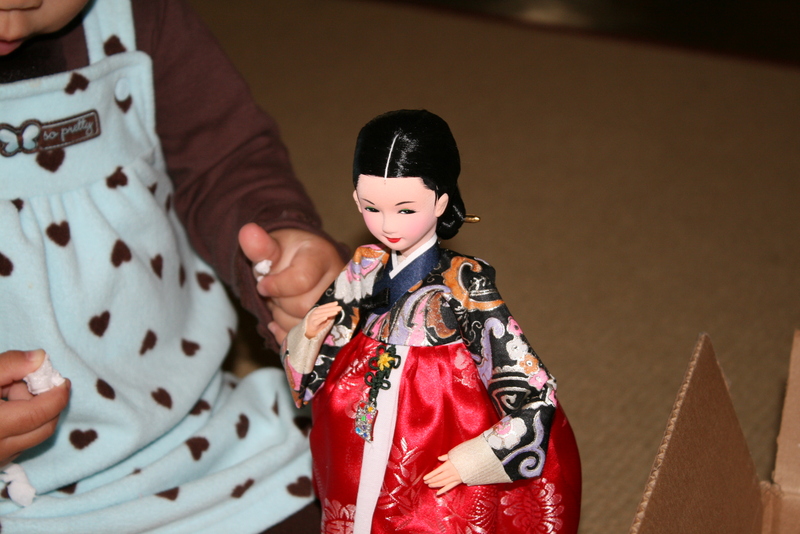 She had fun opening the box and digging through the peanuts to find this Korean doll. 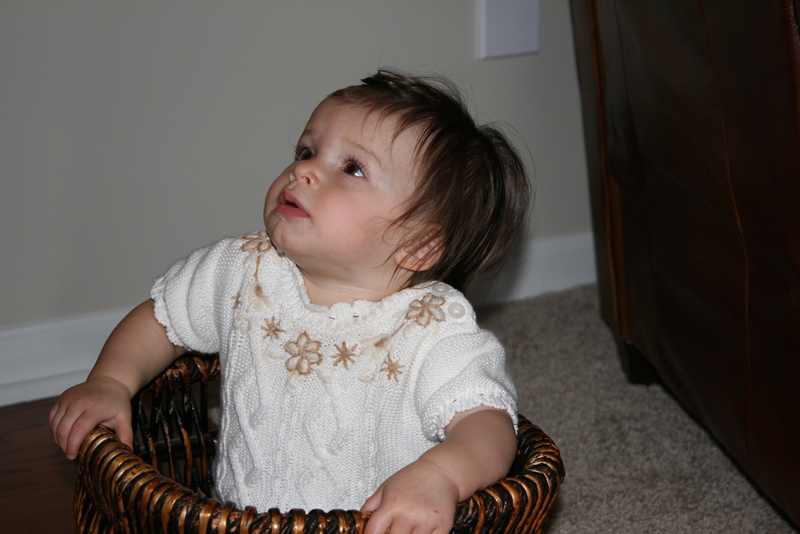 Then there was another small package in the box. 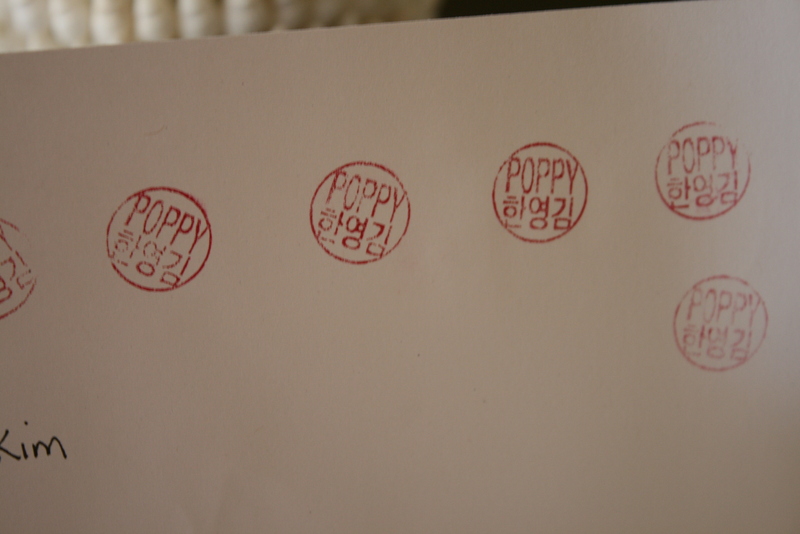 We both thought it was lipstick at first, but it was actually a wooden stamp with Poppy's name in both English and Korean carved into it. Isn't that the coolest thing? Thank you so much Sandy!!! That stamp is too cool! 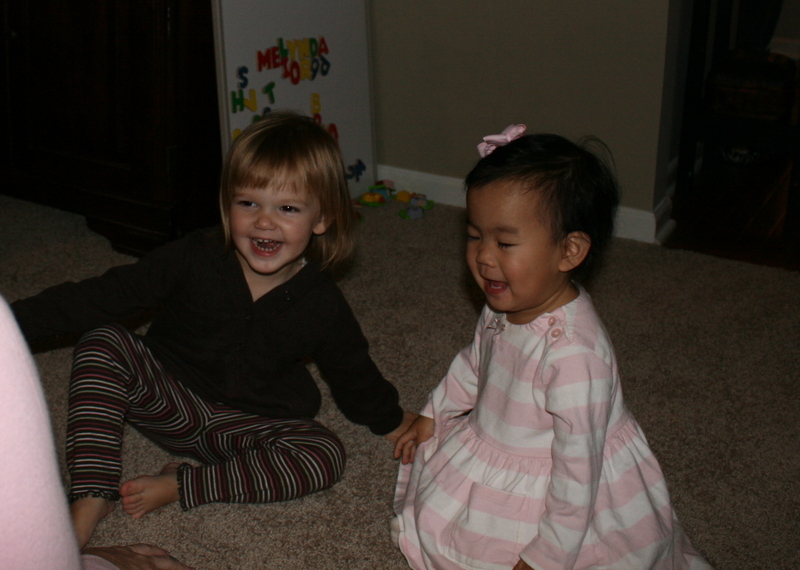 Love how much fun Poppy looks like she is having at the birthday party. What a thoughtful gift! Poppy does look like she's having fun. that box of goodies is awesome! LOVE the stamp! What a cool idea! I love the look on her face in the last picture. That stamp is awesome.